View Photos Of Zareen Khan At The Trailer Launch Of Film Aksar 2 On August 28,2017. 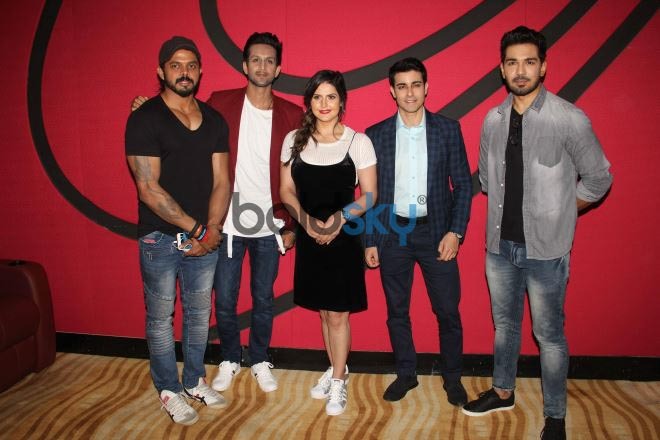 View Photos Of The Trailer Launch Of Film Aksar 2 With Starcast Of The Film Mohit Madaan, Zareen Khan, Gautam Rode, Abhinav Shukla And S.Sreesanth On August 28,2017. View Photos Of Zareen Khan And S. Sreesanth At The Trailer Launch Of Film Aksar 2 On August 28,2017. View Photos Of S. Sreesanth At The Trailer Launch Of Film Aksar 2 On August 28,2017.